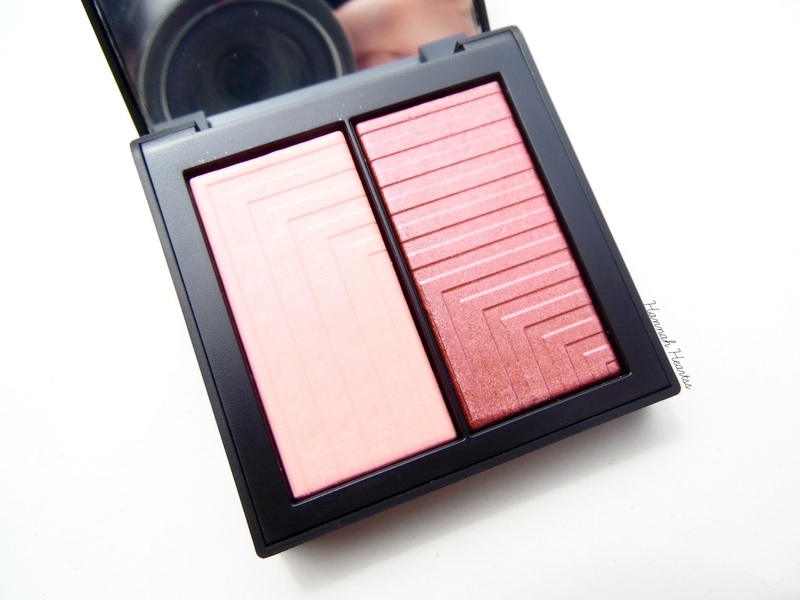 NARS Dual-Intensity Blush in Fervor + GIVEAWAY! NARS has been brand that that I have tried a couple of products from in the past and have really loved, the NARS Radiant Creamy Concealer will forever be one of my favourites, but I have always wanted to try one of the NARS Dual-Intensity Blushes* and it is finally that time that I gave one a try and I have fallen in love! 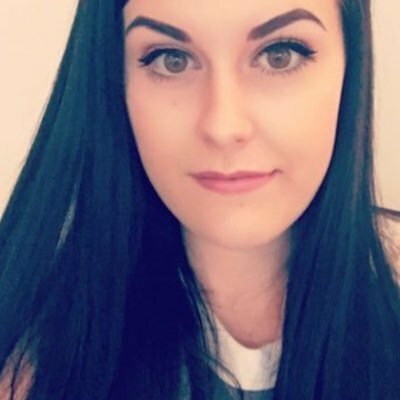 And not only did I get to try one but two of my readers will also win one so make sure you enter at the end of this post! I might just go ahead and say it. This is one of the best blushes in the world. 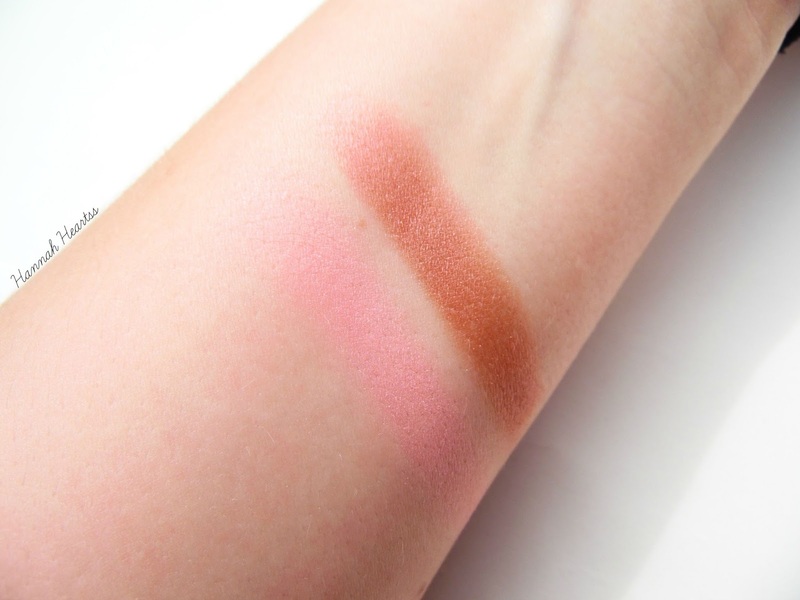 This is the NARS Dual-Intensity Blush* in Fervor. I picked this shade combination because it is perfect for year round with a light shade for summer and a gorgeous darker bronzy shade for autumn/winter and even for summer if you want to achieve that bronze glow. 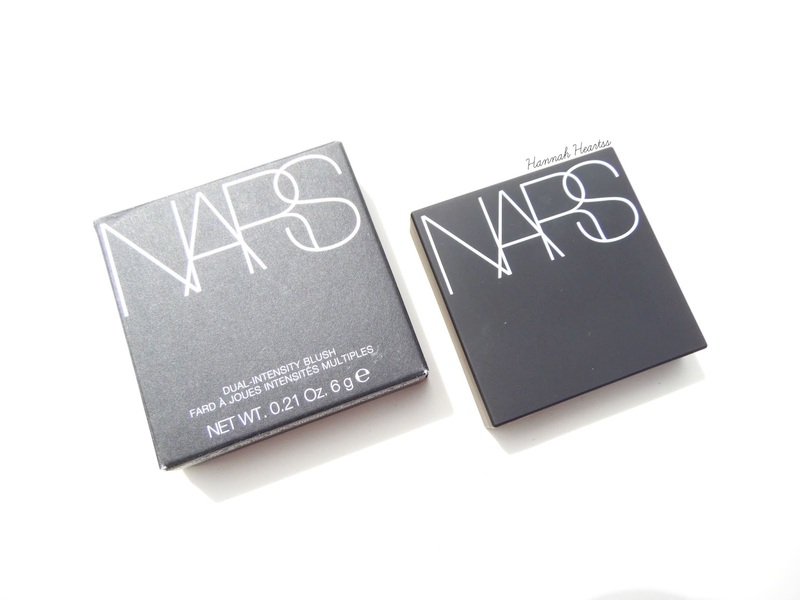 The Dual Intensity Blushes from NARS are similar to the eyeshadows with the same print on the top of the powders and that they can be applied wet or dry. When applied wet they will have an intensive finish and will have a slight metallic effect. The packaging on this blush is gorgeous and I prefer it over the original NARS blush packaging if I am honest. The outer packaging still has that rubberised feel to it so it will get dirty like the originals if left in your makeup bag. The blush has a magnetic closure to it which again I prefer over the original packaging and I weirdly enjoy opening and closing the blush. Inside the compact is a decent sized mirror and the two blush shades. When applied dry (as seen in above swatches) they are insanely pigmented so a light hand will be needed hone applying to the cheeks so you can imagine how pigmented these are going to be when applied wet! I have been obsessed with the lighter shade and it hasn't left my cheeks since it arrived. These blushes are incredibly soft and apply so effortlessly and blend so well too. I didn't think the darker shade was going to suit my pale skin as much as it does and I have been really enjoying wearing it with a light contour on the cheeks. I am 100% going to get some more shades in these blushes, I have become obsessed. The lovely people over at Cosme-De have provided me with not one but TWO NARS Dual-Intensity Blushes** in Fervor to giveaway to you guys! The giveaway will be open to all UK entrants and the giveaway will close on the 21st of August 2015. 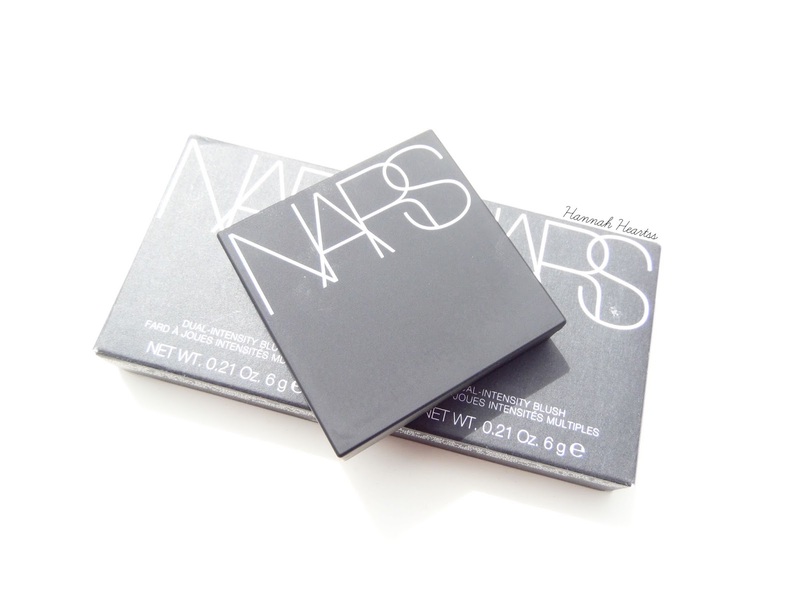 The two winners will receive one NARS Dual-Intensity Blush each. The winners will be contacted by DM on Twitter within 48 hours of the giveaway closing. If the winners do not reply within a further 48 hours, new winners will be selected. I am not responsible for any loss or damage once it is in Royal Mails hands. You must follow on Bloglovin and myself on Twitter and Cosme-De. Good luck and fill out the widget below!